This spectacular elevated 5.27 Acre Home Site boasts Dramatic 360 Views, Beautiful Boulders and a relatively easy building site for an elevated lot. The building site is on a gently sloping ridge that drops off just past the buildable area for a dramatic view and effect. The site offers breathtaking views of area lights, and the surrounding mountains to the North and East and up Black Mountain to the South and West. Located in Prestigious Gated Mountainside Community of Hawksnest, high upon the North slope of Black Mountain All the roads are paved and utilities are on property. 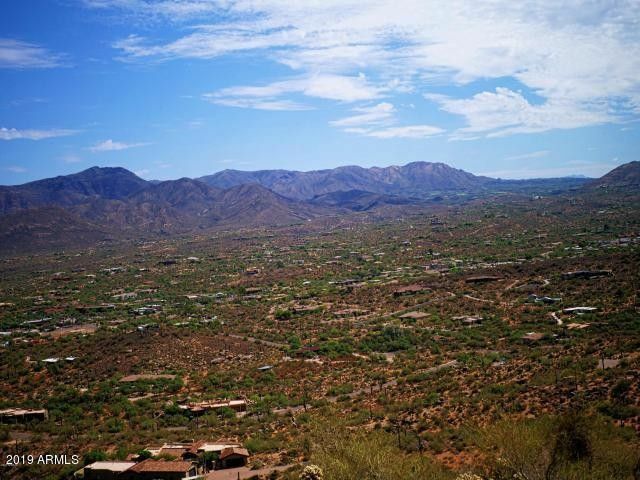 In addition to the elevation and the surreal views, Hawksnest offer's high quality, low density living just minutes from golf, shopping, restaurants and all the towns of Carefree and Cave Creek have to Offer.